My Thirst Mate was convalescing at home after a nasty bug, so my Pool Buddy agreed to join me for a curry. Aniseed is a small Indian restaurant based in a former public house on the north west of the Isle of Dogs. The interior design has a contemporary feel, well-lit and neatly furnished. There are just a few dining tables set apart from a small bar area. We ordered two large Cobra beers and pondered the extensive menu. While all the typical Indian dishes are catered, we were impressed with a generous choice of unusual dishes or house specialities. I don’t normally take the trouble to remark on poppadoms, but we were both very impressed. Very thin, crisp and served with delicious accompaniments. I started with reshmi roll: small chunks of marinated lamb wrapped in chappati. It was rich in flavour, innovative and delicious. My Pool Buddy chose the Aniseed spicy chicken which was thin strips of chicken in a pepper sauce, almost as sweet as it was spicy. For our main course, we shared special fried rice, a seeded naan and saag aloo (spinach and potatoes). My Pool Buddy ordered a faultless king prawn jalfrezi and I chose chicken rangani. This is cooked in honey, ginger and a rich spicy sauce. All our food was excellent. 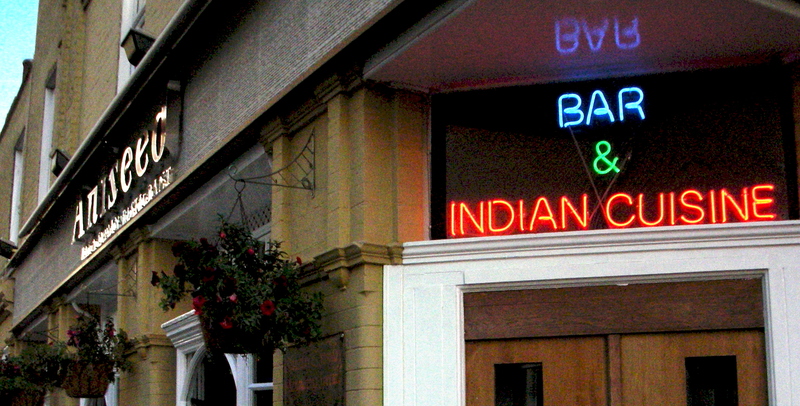 Aniseed is a "Bar & Indian cuisine"
The service was friendly and generally helpful, with our waiter eager to check we were happy with our food. Later my tongue was tormented after I crunched into a chilli pepper. I asked for a glass of water, but it didn’t arrive and the bill was also slow to come. However, our meal was delicious and we enjoyed our time at Aniseed. There were a few other diners there and the small bar area grew quite busy as the evening progressed. This just added to the atmosphere and our overall experience. Our bill came to £48.40 excluding service. Aniseed is about five minutes walk from Heron Quays DLR, at 25 Westferry Road, Isle of Dogs, E14 8JH. Telephone 020 7517 9233. Thursday evenings are a bargain at the Royal Spice. I wanted to take advantage of this after seeing their £8.95 deal advertised on the side of the building. They need to update the sign; it’s now £9.95 for the same deal. It’s still a bargain. The price covers a starter, main and side dish, along with rice and naan bread. My Thirst Mate and I struggled to put away our food; not a common problem for us. We arrived before 8pm without a booking and were guided to a table at the back. There were only two other diners, eating at separate tables. The restaurant remained fairly quiet all evening, apart from a small group who arrived later and seemed to inject enough local atmosphere for the whole restaurant. The service was relaxed and helpful. We were offered poppadums as we sat down and then we ordered beer and tap water before asking for more time to consider our food. The menu offers a broad choice of Indian/Bengali dishes, including 15 “Royal” specials. Apparently the chef will also “prepare dishes which are not listed, on request.” Such is the extent of the menu, I can’t imagine this happens often. My Thirst Mate started with Aloo Chat and I opted for the “Royal Treet,” an eclectic meat dish where salmon, chicken and lamb are brought together with different spices. I followed this with Gosht E Nobabi (lamb with herbs and spices) and my wife chose the Achari Chicken (a tamarind special). The terms of the deal meant we were able to add rice, naan bread and two side dishes. As a whole, our food was fine and plentiful, but otherwise unremarkable. Our bill was £29.60; it would have been closer to £45 on any other evening. The Royal Spice is worth a trip if you find yourself in need of an abundant feast at a decent price on a Thursday evening. Address: 81 Commercial Road, E14 7HG. Telephone: 020 7536 9902. Spice Merchants is in a small and simple but stylish venue with modern décor. The food is Indian, inspired by Mughlai cuisine. My Thirst Mate and I arrived at 7.30 on a Saturday evening and were guided upstairs to a table by the window. There is a smaller seating area and a bar downstairs. A few people were dining already and more gathered during our stay. We ordered tap water and a bottle of Rioja for £14.50. House wines were £10.50 and Tiger, Cobra and Kingfisher beers were all available. I opened with lamb tikka and my Thirst Mate opted for vegetable samosas. 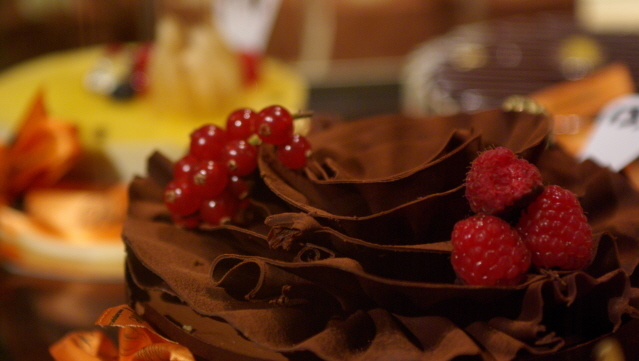 In both cases they were presented beautifully and tasted great. 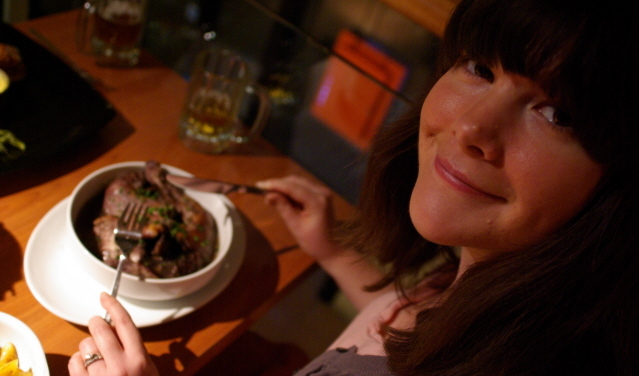 For our main course, my Thirst Mate ordered lamb madras which we both enjoyed but was a little hot for her palate. I ordered the “exotic” xacuti chicken which was richly flavoured, as many of the specials were described. This dish was delicious, containing fenugreek, star anise, javantri and red Goan chillies. It was the first time I’d tried this dish and I’m seeking out a recipe already! We shared some rice, naan bread and saag paneer (spinach with cheese) which all complimented our main dishes. The service was friendly and professional. I was impressed at the waiter’s efforts to lay out our dishes, ensuring our space was uncluttered. The toilets were bright, clean and modern. My Thirst Mate remarked they were among the best she’d seen in a restaurant of its kind. Our bill was £45.15 excluding service. 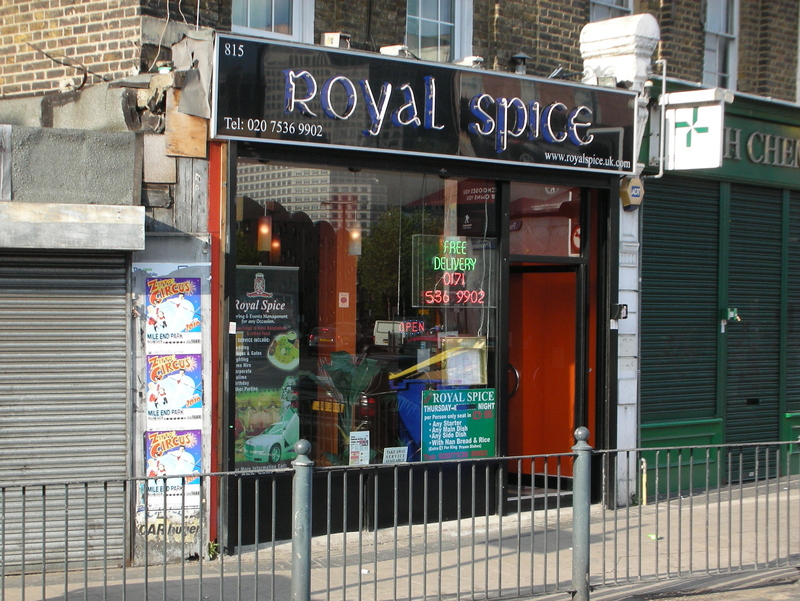 Spice Merchants hopes to attract “the ever discerning and affluent diner”. We felt that while it was not cheap, the quality of the experience was well worth the price we paid. It is also possible to eat there more cheaply as many of the Indian favourites are reasonably priced. Spice Merchants is a matter of seconds away from Westferry DLR and is served by a number of bus routes. Takeaways and deliveries are available. 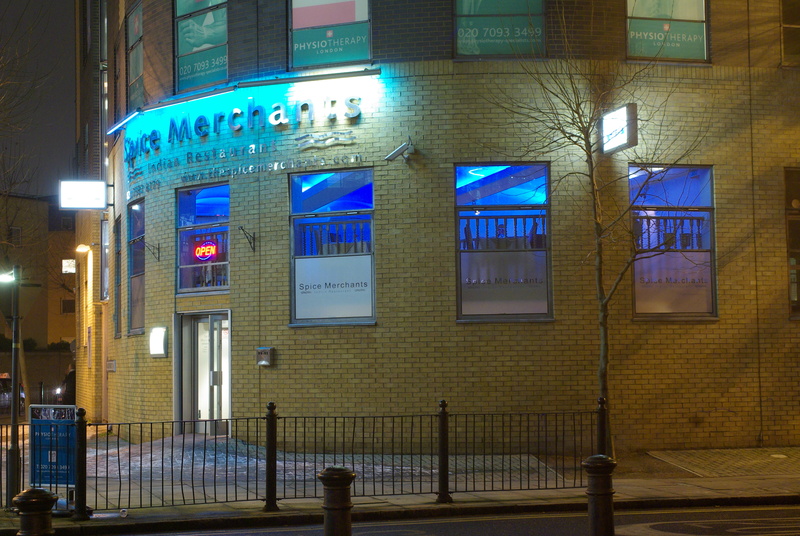 Spice Merchants is at 38 Salter Street, Docklands. Telephone: 7987 8779.